Stray and feral cats are a common sight, both in rural and urban areas. You may take care of a small colony yourself or just be concerned about a few strays you’ve seen recently. Here are some of the top concerns regarding caring for stray or feral cats to ensure a healthy, safe population. 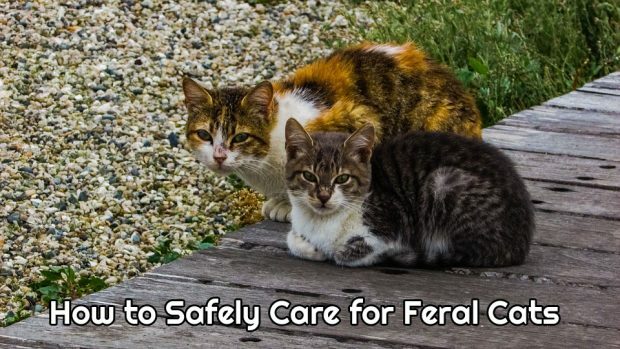 Health concerns are a top factor in stray and feral cat care, as cats can easily spread illness, parasites and more if left untreated. Cats that don’t receive proper medical care may also suffer from infections or injury. Annual trapping and vaccination of populations, as well as placing medication and dewormers in food, can help reduce the incidence and spread of illness. Cats that can’t be caught may be protected by herd immunity if enough of the cats surrounding it are vaccinated. Population control is another major concern for feral and stray cat populations. A single female cat can easily have two to three litters in a year, and kittens are sexually mature by 6 months of age. One unaltered cat can produce hundreds more by the following year. Cats can be trapped humanely and taken to be spayed and neutered. Kittens could be tamed and adopted; cats that aren’t suitable for domestic living can be safely reintroduced to familiar environments without risk of becoming pregnant. Cats can eat a lot, and when there is a large population in one area, they may start to attack and hunt local wildlife for food. Keeping the cats well fed can help get them used to you, which may make it easier to feed, catch, and care for the cats. Food can be a useful tool for humane trapping and for administering medications to sick animals. Pet stores can often order food in bulk, and local shelters may have assistance programs to help with feeding. It’s OK to ask for help if there are too many cats for you to care for. Many humane societies will rent humane traps for catching or offer food assistance or medical care for colonies, and free spay and neutering. You may also want to work together with your neighbors if there is a large feral population in the area. Taking care of stray or feral cats may seem like a daunting task, but know that you are making a difference in the lives of animals. Proper medical care, population control, and feeding can help prevent illness not only for the colony but for local animals and people as well.